Check all outside faucets and remove water hoses. Close all vents on the outside of your home. Keep meter box lids tightly closed. Open cabinet doors under kitchen and bathroom sinks to allow heat inside. If you have water pipes that are subject to freezing, try to keep a steady trickle of water running from the nearest faucet. 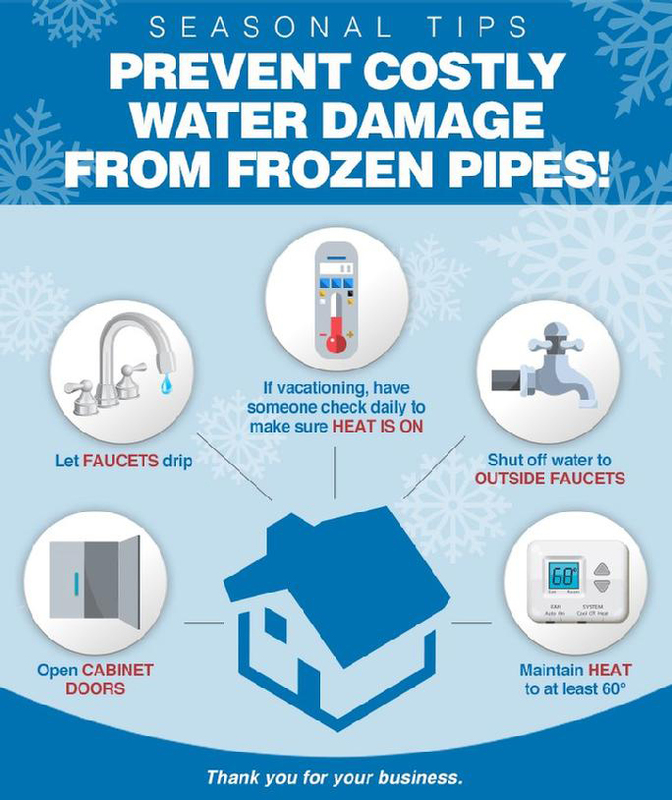 If you have frozen pipes, but some water is running, the safest thing to do is to wait for the frozen pipes to thaw. Never use an open flame to thaw waterlines. Once the pipes thaw out again, be sure to check for cracks or leaks that may occur from freezing. During inclement weather, our Field Technicians respond to service calls when roads are safe to travel. Please anticipate delays in service restoration when snow and ice conditions exist in your area. For further assistance, please call 919-989-5075.